The perfect comforter is the key to getting your best night’s rest. The Restful Nights ® Ultima™ Supreme Comforter was made to help you sleep well. It has just the right amount of fill to keep you cozy and comfortable without weighing you down with an uncomfortable amount of weight and fill. One of the best parts of the Restful Nights ® Ultra Essence comforter is that it has the same feel as a down comforter without actually being down. This is perfect for those who have allergies or who just want to snuggle up with a down alternative comforter. Experience the luxury for yourself today! Restful Nights ® is dedicated to helping you find the perfect bedding and the Ultra Essence Comforter will encase your body is soft luxurious comfort. 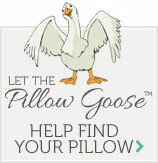 It is filled with the finest hypo-allergenic 100% polyester fill to ensure your comfort. You shouldn’t even think twice about the luxury this comforter can bring to your bed. When you order from Restful Nights ® you know you are going to be getting the very best in bedding quality. Take the time to sleep well, and you can then live well. Order the Restful Nights ® Ultima™ Supreme Comforter today and start experiencing what it is like to sleep encased in a cloud!